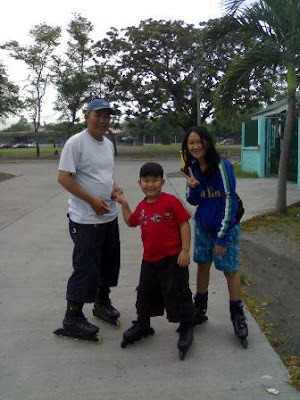 My first inline blade fall, waaaaaaaaaah!!! We recently tried to play with inline blades and so, whenever we can, we bring our inline blades to the local park and simply have fun together. We all had our falls and bumps and runs but we sure enjoy the game.